Mumbai, February 23, 2017: The Greek National Tourism Organization (GNTO) forays into the Indian market starting 2017 to tap the increasing Indian outbound travel segment. The tourism board recently participated in one of the biggest travel shows in Mumbai as the trigger point of its 3-year-strategic plan. GNTO’s target is to create increased destination awareness about lesser known cities of great geophysical, historical and cultural importance and to position Greece in the top-5 list of European destinations, for Indian tourists. 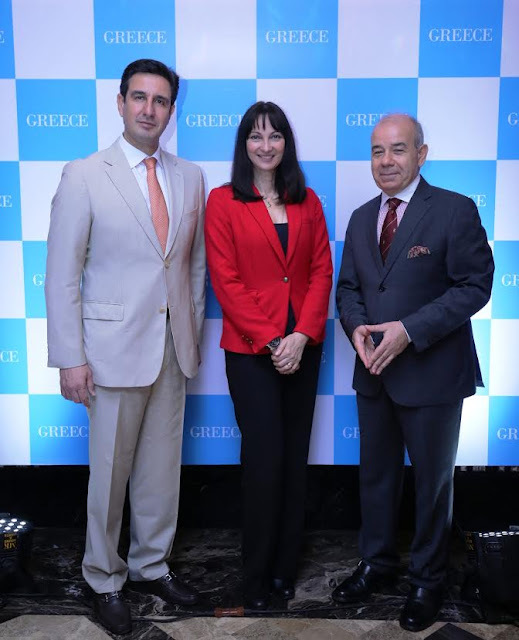 Speaking at the press conference organized in Mumbai, Ms. Elena Kountoura, Honourable Minister of Tourism of Greece said, “With the entry of Greek Tourism in the Indian market we aim to associate with the travel trade industry and offer our audience a customized product. Our strategy aims to promote 365 days tourism in Greece and we are confident that we will see a positive boost in the number of Indian arrivals to Greece with our initiatives. “India is a promising market for us and this year we plan to reach out to affluent Indians through a well planned marketing and advertising campaign. GNTO is looking at promoting Greece as an ideal destination for film tourism, destination weddings & celebrations, apart from the existing popular segments like honeymoons, MICE and FITS. Establishing a GNTO Office in India is the ultimate aim, until then we will associate with our Indian counterpart to bring out the dynamic perspectives of Greek Tourism in the market of India.” Added Mr. Dimitrios Tryfonopoulos, Secretary General, Greek National Tourism Organization. Greek National Tourism Organization is in talks with representatives of the largest air carriers, such as Emirates, Qatar, Etihad and Jet Airways to improve the connectivity to Athens for the Indian travelers. Greek Tourism has recorded a double digit growth in 2016 and with the entry in the Indian market the numbers will only rise.